Have you plugged in your phone only to come back hours later and find that the battery is still not charged? In fact maybe it has a lower percentage on the meter than it did before you plugged it in? This is not an uncommon problem. While the result is the same what caused your phone to stop charging might be due to one of many possibilities. Need your charge port replaced? Use our Mail-In Repair Service and get it done right! While your first suspicion might be correct we’ve had hundreds of customers come to us with charging problems only to find out that the reason for their dead battery had nothing to do with what they though was the source of their frustrations. Before you assume anything consider the following and try all of the easiest options first. Sometimes you will be pleasantly surprised. Why isn’t my phone charging? Here’s a scenario. You have three micro USB chargers. One came with your device and is used for charging the phone but somehow it stops working. So you grab another one. This charger is also a micro USB type however the power output for this one is designed to charge a bluetooth headset. This other charger will almost definitely not provide enough amperage to charge your phone. That’s right! Even though micro USB chargers will fit into different devices that does not mean they will work with just any phone and especially not just any tablet. Accessories like earpieces, phones, and tablets all require different amounts of power in order to charge. Some are interchangeable but many are not. So let’s go back to our scenario. You figure that maybe the second cable that you plugged in is also damaged. Despite the likelihood of two cables failing at the same time, it is feasible. So you grab a different micro USB cable and plug it in… to the same power block. Oops. That might not work either. If the charging block was the problem in the first place then changing the cable won’t help you. I suspect that this has happened to many unfortunate people but there’s a happy ending to that story. When the customer comes in we always try a known working charger that is absolutely compatible with the model of phone that they are using. The next thing you know their battery begins to charge and they are on their way with a $15 solution. That was easy! Of course sometimes that’s not how it goes. After testing the easiest and most obvious possible cause we often determine that yes, in fact, there is a problem in the phone itself. Not necessarily the port but maybe. Of course if we can see physical damage by examining the port with a magnifier then we would assume that is the problem. Sometimes they are so badly damaged that even without a magnifying glass or microscope we know whats going on. Other times it is not so easy. If the port looks good we proceed to the next step. Using an ammeter like this one we can get more information. Mainly whether the battery is getting any power from the charger or not and if it is pulling the correct amount of amperage at a consistent rate. If we can see amperage getting to the phone but the battery is not charging properly then we can assume that the port is probably okay but the battery may need to be replaced. There are exceptions to every rule but this will give us a better idea of where to look and what to try next. Sometimes damage to the charge port is not visible or affects the contacts inside of the phone so after opening the device we take a look at it under the microscope. 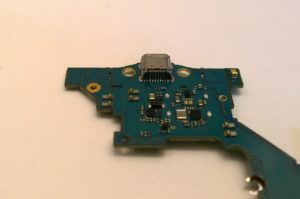 Physical damage to the area where the port connects to a phones logic board can often be seen under a microscope. We can use our multi meter to determine if any bad connections exist and proceed accordingly. No need paying for a charge port repair if that’s not what you need. In some cases charge ports are modular and can simply be unplugged and replaced once the phone has been disassembled. In other cases it is necessary to desolder the damaged port and solder a new one in place. Apple, at least for the time being, designs phones with modular type charge ports while many other manufacturers like Samsung, LG, and Motorola may require that the micro USB port be installed using a hot air station and soldering iron. Unless you are experienced with microsoldering we do not recommend that you attempt this yourself. It’s easy to cause permanent damage to your phone as the temperatures required to desolder a charge port are extremely high. You can also get burned easily if you aren’t careful. If you own an iPhone there is good news and bad news when it comes to charging issues. The good news is that lightning ports are designed in a way that makes physical damage unlikely. They do attract lint from your pocket like a magnet though and will sometimes need to be cleaned. See the video below for details. Also, performing your own charge port repair on an iPhone requires only an intermediate level of skill working with electronics. On the other hand Apple uses a component inside of their phones that is designed to detect non OEM chargers and has a tendency to fail over time. This can cause all sorts of odd results including an inability to charge but also “fake charging” where it appears that the battery has reached 100% but causes the phone to shut down for no apparent reason. The battery might also get “stuck” at an arbitrary percentage and refuse to go any higher. In some cases your battery might suddenly go from 100% to some lower number like 26% leaving most people baffled as to what has happened. This kind of charging problem will often require replacement of the Tristar chip otherwise known as the U2IC. In that case you can expect the repair to be more costly but the good news is that you can avoid future issues like this by always using MFI or Made for iDevice chargers and cables. 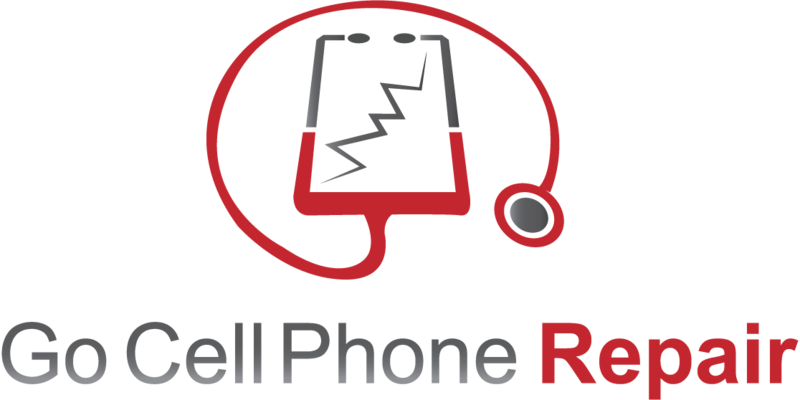 If you are having a problem charging your phone, don’t hesitate to contact us for a repair quote. No matter if it’s charge port repair you need or something else, we can help.